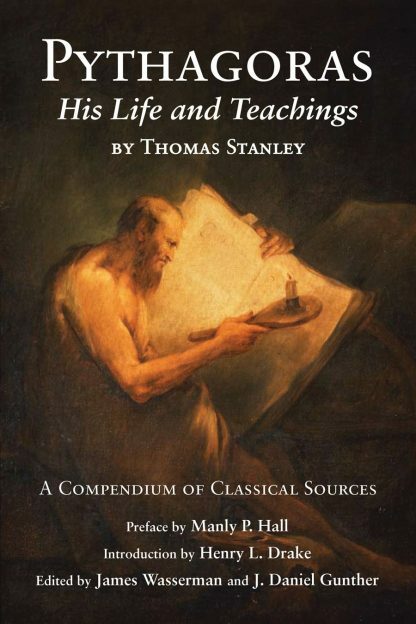 Red Wheel ∕ Weiser Online Bookstore | Pythagoras: His Life and Teachings by Thomas Stanley, Introduction by Dr. Henry L. Drake, Edited by James Wasserman et al. The timeless brilliance of this exhaustive survey of the best classical writers of antiquity on Pythagoras was first published in 1687 in Thomas Stanley�s massive tome, The History of Philosophy. It remains as contemporary today as it was over three hundred years ago. Thomas Stanley (1625�1678) was the first English historian of philosophy. He gained distinction during his own lifetime as a poet and a translator. Dr. Henry L. Drake (1906�1978), a close and loyal friend of Mr. Hall, served as vice-president of the Society for nearly three decades, in addition to editing a collection of Plato�s complete works. Manly P. Hall (1901�1990) founded the Philosophical Research Society in 1934. He was a prolific author and lecturer, and remains a primary exponent of the Western Mystery Tradition.